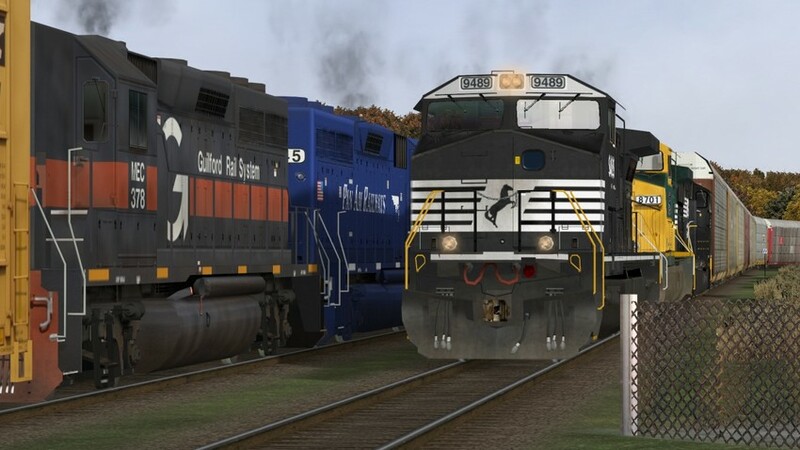 Southbound racks pass a canned freight on the East Metro Route for the Open Rails train simulator. Unknown photographer July 27, 2014. Added to the photo archive by Mike Worden, July 27, 2014.